In an earlier blog I wrote about the "Magnificent Seven," the cemeteries created in the 1840s to take pressure off the city of London. In that blog I only discussed three of the cemeteries. Here are some brief notes on the remaining four. Abney Park Cemetery, one of the "Magnificent Seven," was created in 1840 and was the first completely non-denominational garden cemetery in Europe. For more than 100 years it functioned as a graveyard, only ceasing as a place of burial in the 1970s. Not only was it a non-denominational place of burial, it was unique in combining the cemetery function with an educational arboretum bounded with 2,500 trees and shrubs laid out in alphabetical order. Because of its non-denominational origins, Abney Park soon became the favoured place of burial for non-conformists of all persuasions. Here lie the founders of the Salvation Army, William and Catherine Booth, along with their son Bramwell and many others connected to that church. As well it was a favourite resting place for many of the leaders of the Abolition movement. Joanna Vassa, the daughter of Olaudah Equiano an eighteenth century leader for the emancipation of slaves and himself an ex-slave, is buried here. 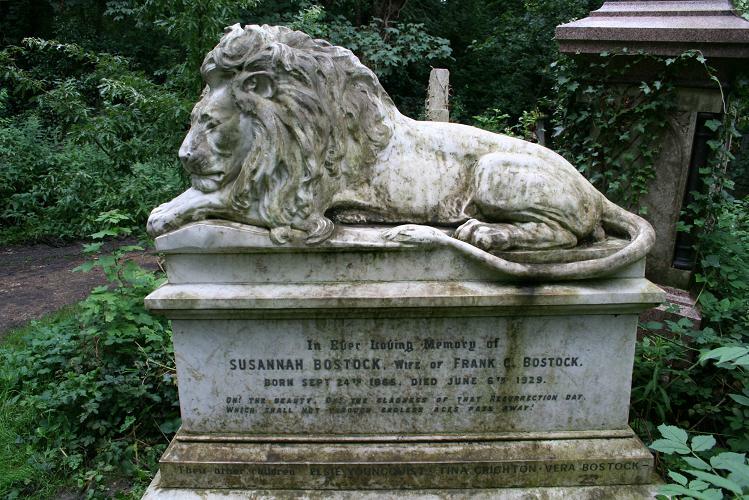 Among the many fascinating graves to be found here is one, the monument of which features a magnificent lion. 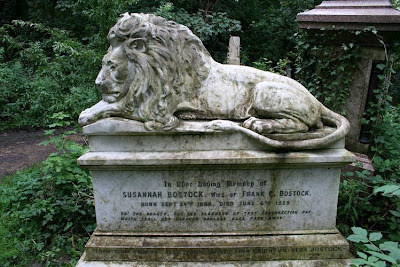 This marks the grave of Frank Bostock an extraordinary animal trainer of the last years of the nineteenth and the earliest years of the twentieth cemetery. 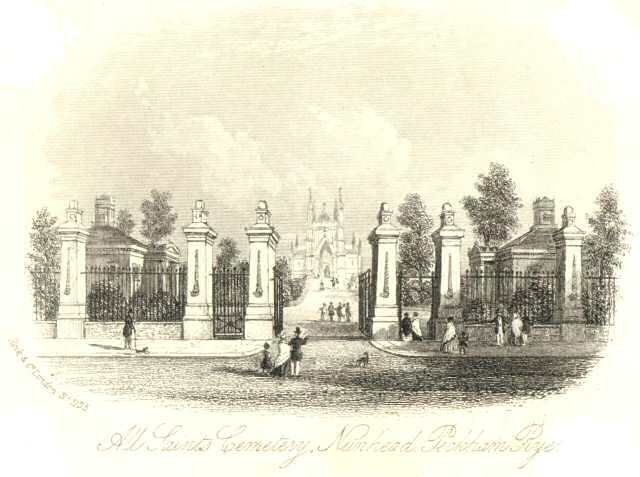 Perhaps the least known of the "Seven," Nunhead Cemetery, originally All Saint's Cemetery, was founded by the London Cemetery Company, which also founded Highgate. With 52 acres of ground, it was the second largest of the Victorian Cemeteries. Consecrated in 1840, it is one of the two cemeteries of the "Magnificent Seven" located south of the river Thames (the other being West Norwood Cemetery). In 1865, when its first superintendent died, it was discovered that he had managed to mulct the company of eighteen thousand pounds. In 1851, Tallis's Illustrated London commented, "The grounds are planted with great taste, many of the monuments are extremely beautiful and the chapels have considerable architectural merit." Near Earl's Court, the Brompton Cemetery was originally known as the West of London and Westminster Cemetery. Nowadays it is primarily used as a park. 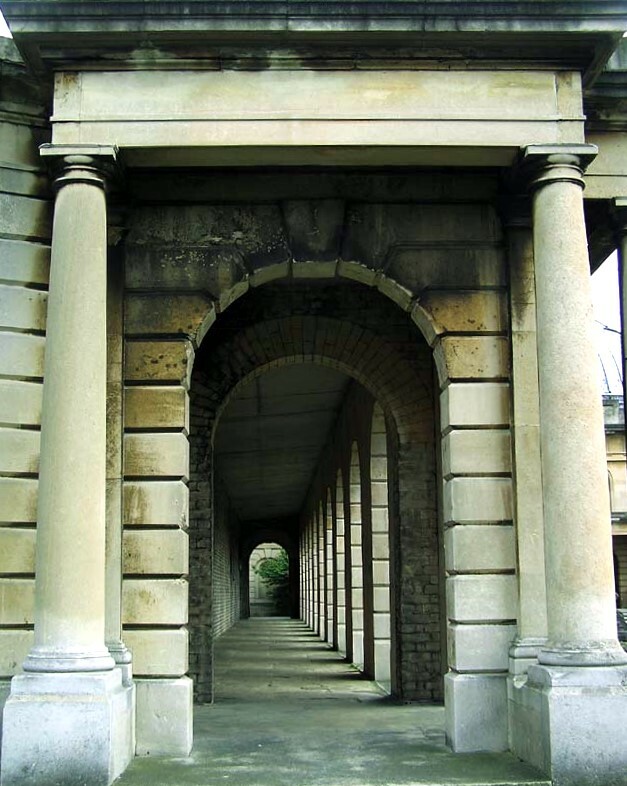 The cemetery centred around a domed chapel at one end, with long colonnades leading up to it flanked by catacombs which were seen as a cheaper burial option. 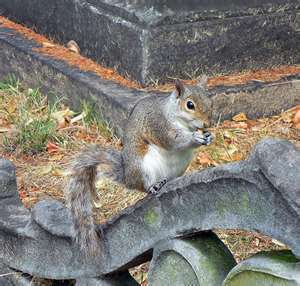 The cemetery has an interesting connection to Beatrix Potter who lived nearby. She is supposed to have taken many names for her creations from headstones even that of "Peter Rabbett" as it was found on one of the grave markers. Others were Nutkins, McGregor and Fisher. 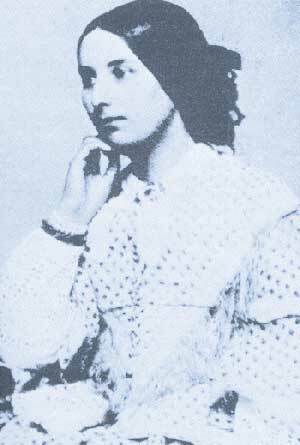 Here, too, is buried Fanny Brawne to whom John Keats was engaged and to whom he wrote a series of charming love letter including this one, written in October of 1819 only sixteen months before his death. Others buried here include Henry Cole, the founder of the Victoria and Albert Museum, the Royal Albert Hall, the Royal College of Music, the 1851 Great Exhibition and inventor of the Christmas card; Samuel Smiles, the author of that most Victorian book, Self Help; Samuel Cunard, the founder of the Cunard Line and John Snow who demonstrated the link between cholera and infected water. Lovers of Cricket too can find in the Brompton Cemetery the grave of John Wisden, a most excellent cricketer who is, however, best remembered as the founder of the eponymous Wisden Cricketers' Almanack in 1864. In this most English of cemeteries were buried a number of American Indians. These were the casualties of that great institution, Buffalo Bill's Wild West Show. 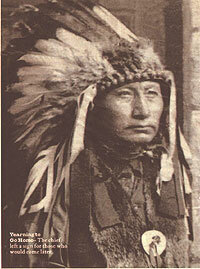 Among those who died in England while on tour was the Lakota Sioux chief, Long Wolf, born in 1833 and one of the warriors who fought in the battle of the Little Big Horn. Buried with Long Wolf was an infant child, Star Ghost Dog, who died at only 17 months when she fell from her mother's arms while on horseback. Here too were the graves of Paul Eagle Star, another Sioux and Surrounded by the Enemy, undoubtedly one of the tallest men in the Wild West Show at 6 foot, seven inches who succumbed to a chest infection at the early age of twenty-two. Long Wolf's remains were returned to South Dakota in 1997 and buried in Wolf Creek Community Cemetery at Pine Ridge in that state. This cemetery was opened in 1841 and officially closed in 1966. The Cemetery Company was composed of eleven wealthy directors including the Lord Mayor of the City of London. Consisting of 27 acres, it was divided into a consecrated part for Church of England burials and an unconsecrated part for all others. It was the cemetery of the East End and by the turn of the century had a quarter of a million bodies buried in its grounds. Because it was situated in one of the poorest areas of London, a large number of the burials were in public graves which by 1851, ten years after the cemetery opened, house 80% of the deceased. Public graves often held multiple unrelated bodies and might contain as many as thirty bodies in a pit up to forty feet deep. There was no charge for public graves and they were commonly used by those whose families could afford a funeral, but not the price of a burial plot. There were, of course, other cemeteries in and around London, and an increasing number as the century moved on. But the creation of the "Magnificent Seven" stood as a model movement for the cleansing of the unwholesome practices which had caused so much disease in the great Metropolis. In January of 1902, a little less than a year after the death of Queen Victoria or, as she was properly titled and styled, "Her Majesty Victoria, by the Grace of God, of the United Kingdom of Great Britain and Ireland Queen, Defender of the Faith, Empress of India," Henry J. Raymond was buried in a mass paupers' grave in Highgate Cemetery. Although buried as Raymond, his real name was Adam Worth, and just as Victoria sits in the background of so many of Sir Arthur Conan Doyle's tales of the great detective, Sherlock Holmes, so too, we find Adam Worth, better known to the world as Professor Moriarty. There is some evidence to suggest that Doyle modelled his arch-villain on the German-American who, in the mid-1870s, moved to London where he set up a criminal network. True or not, there is no doubt that Sir Robert Anderson referred to Worth as "the Napoleon of the criminal world". Had this nickname come from the sensational press, it would, in all probability, be wise to discount it. But Robert Anderson was, possibly, the most famous policeman of his day. Anderson was a spy-master and a chief of detectives at Scotland Yard, having been appointed, in 1888, Metropolitan Police assistant commissioner in charge of the CID. Coming from him, the title "Napoleon of the criminal world" was no small accolade. Adam Worth was born in Germany but raised in the United States. He began his criminal career during the American Civil War when he became a "bounty jumper," joining a New York regiment to gain the enlistment bounty of $1,000 offered before deserting and enlisting in another regiment. According to Ben Macintyre, Worth's biographer, he developed the technique to new heights "by faking his own death at the second battle of Bull Run before re-enlisting under an assumed name." Following the war, Worth turned to crime. Here he was quite successful. 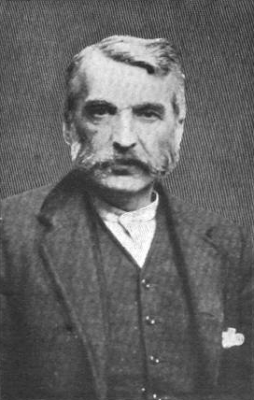 The detective William Pinkerton described Worth in a posthumous pamphlet (Adam Worth, alias ‘Little Adam’, 1904) "As in everything else that he undertook, he very rapidly went to the front among the crooks, starting first as a pickpocket, and later on associating with an expert gang of bank sneaks." Pinkerton went on to note that "he became an active participant, and still later furnished not only the money but the brains and plans with which to do the work." However, after breaking into a Boston bank from an ajoining shop and stealing cash and securities valued at around $200,000 from its safe, and with the Pinkerton in hot pursuit, he, and his partner,fled to England. became the meeting place of leading thieves of America and Europe. ... the rendezvous for noted crooks all over the world, .. a clearing house or "receiver" for most of the big robberies perpetrated in Europe. In the latter 70's, and all during the 80's, one big robbery followed another; the fine "Italian hand" of Adam Worth could be traced, but not proven, to almost every one of them. Sherlock Holmes, described Professor Moriarty in similar, albeit somewhat more fanciful, terms. He was, for the great detective "the greatest schemer of all time, the organizer of every deviltry, the controlling brain of the underworld..."
Worth's greatest crime, and one which Holmes could hardly have failed to admire for its sheer audacity, was the theft of Thomas Gainsborough's painting of Georgiana Cavendish, Duchess of Devonshire, which he painted in the mid-1780s. The portrait itself has a fascinating history, having disappeared for many years before surfacing in the 1830s in private hands. After passing through several hands, it was purchased in 1876 for the then unheard of price of 10,000 guineas. The new owner, art dealer William Agnew put it on display in his gallery from where it was stolen by Worth and some of his henchmen on the night of Thursday, the 25th of May 1876. Worth's reasons for stealing the portrait were two-fold. On the one hand, he had seen the picture and apparently fell very much under its spell. Like anyone in love, Worth assumed that others would have been just as smitten with the painting and so decided to use it to bail an associate out of jail. He intended to either sell the portrait or use it to force the owners of the gallery from which it had been purloined, to go bail for his incarcerated colleague. that he would go to an acquaintance, a solicitor of shady reputation, who was an ex-convict, and instruct him to call on the prisoner in the jail, and hand him a small canvas clipping cut from the side of the picture. The attorney was then to go to Agnew & Co. and say to them that he had a client in the Newgate Prison who could give them valuable information concerning the Gainsborough picture. The prisoner in jail was to say to them, that if his liberation was effected, he would guarantee to return the picture, and as an evidence of good faith, and that he was telling the truth, he was to produce the piece of canvas cut from the side of the picture, which they could fit on the frame as a test. Before the plan could be put into effect, the prisoner was released and Worth was left holding a portrait too well known to sell and with which, in all probability, he had no desire to part. At the time nobody knew who had taken the picture although over the years rumours frequently laid the crime at Worth's doorstep. In 1892, Worth was arrested in Belgium and sentenced to seven years hard labour for his part in an attempted robbery. 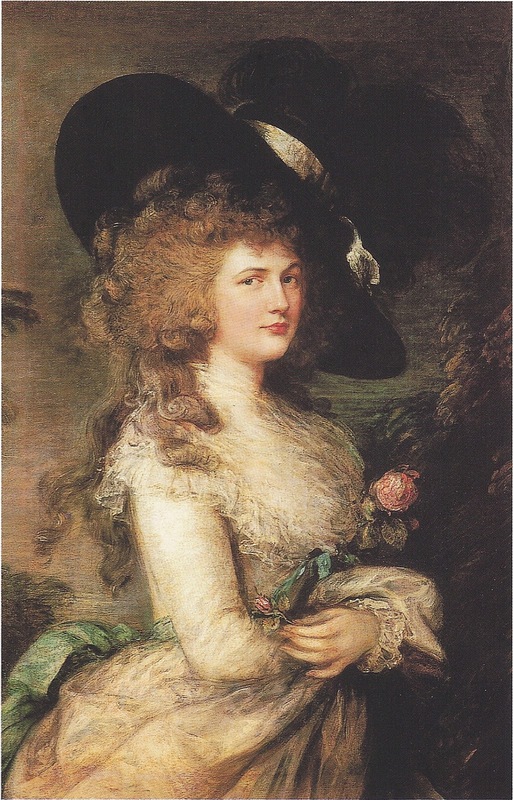 While in prison he was approached with offers of freedom if he would return the Gainsborough. He steadfastly denied any knowledge of the painting. In 1899 after being released from prison broken in health and with no resources, Worth contacted William Pinkerton, agreeing to meet with him in America to discuss the fate of the portrait. After extensive and prolonged negotiations, the painting was returned and Worth pocketed $25,000. When the picture was put up for sale, in London, shortly after its recovery, J. P. Morgan purchased it for $150,000. In 1994 it was purchased by the llth Duke of Devonshire and Georgiana now resides "at home" in the Chatsworth House collection. In all his criminal career, and all the various crimes he committed, ... he was always proud of the fact that he never committed a robbery where the use of firearms had to be resorted to, nor had he ever escaped, or attempted to escape from custody by force or jeopardizing the life of an official, claiming that a man with brains had no right to carry firearms, that there was always a way, and a better way, bu the quick exercise of the brain. Whether Worth was the model for Moriarty, it is clear that he was, like Doyle's creation, a master criminal sitting at the centre of a web of crime in London. Unlike Moriarty, he spent time in prison and was loyal to friends. As Pinkerton comments in his pamphlet, "this man was the most remarkable criminal of them all." To download Adam Worth, alias ‘Little Adam’ click here.